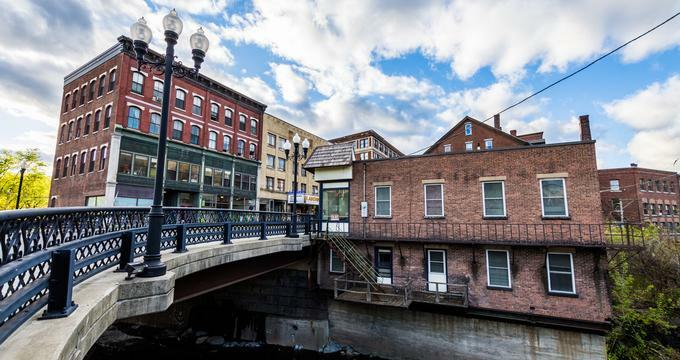 Located in Southern Vermont on the bank of the Connecticut River, Brattleboro is a popular four-season tourist destination, with excellent skiing, snowshoeing and skating in the winter, and swimming, tennis, golf, hiking and biking in the summer. Brattleboro, VT is home to the Brattleboro Museum & Art Center, the Tasha Tudor Museum, the Estey Organ Museum and other cultural institutions. Here are the best things to do in Brattleboro, Vermont. The Creamery Covered Bridge, also known as the West Hill Covered Bridge, or the Crystal Springs Covered Bridge, is a beautiful covered wooden bridge within the town of Brattleboro and is the only surviving example of such a bridge in the region. Constructed in 1879 of spruce lumber, the Creamery Covered Bridge is named after a creamery that was located adjacent to the bridge site, and consists of a single span bridge 80 feet long and 19 feet wide supported by two flanking timber lattice trusses, with a covered sidewalk attached to the eastern side of the span. The bridge is listed on the National Register of Historic Places and a popular tourist attraction that attracts visitors from all over to take in the beautiful scenery. 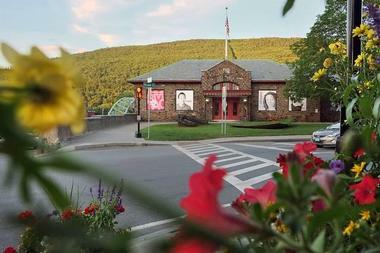 Founded in 1972, the Brattleboro Museum and Art Center is a non-collecting museum that showcases works by regional and international artists to inspire, educate, and engage visitors of all ages. Located in the former Union Station in downtown Brattleboro, the Museum and Art Center’s collection includes works by Wolf Kahn, Andy Warhol, Chuck Close, and Janet Fish, as well as special exhibitions from local school groups and other community organizations. Located south of Green Mountain National Forest, the Retreat Trails are accessible networks of trails that wind through the forested and hilly area north of the Massachusetts border. The trail system is over nine miles long, covering more than 400 acres of forest and agricultural land and include some unusual sites, such as the old Cemetery and the Retreat Tower. Ranging from old jeep roads to winding single tracks, the Retreat Trails cater for all levels, from easy trails for beginners and families to challenging single tracks, with some trails leading up to the top of the town’s ski jump, which boasts spectacular views of the surrounding countryside. Several of the trails still have the names they were given 175 years ago when they were created for the use of the patients and staff of the “Vermont Asylum”, which is in operation today as the Brattleboro Retreat. The Brattleboro Area Farmers' Market is a premier farmers market that features over 50 vendors selling a range of agricultural products, arts and crafts, live music and animals and ethnic foods from around the world. The market is Southern Vermont's main farmers' gathering, and offers both locals and visitors a crash course in Vermont food with a range of free-range beef and lamb, cheeses, fruit and veggies, honey, maple syrup, and freshly baked pastries. 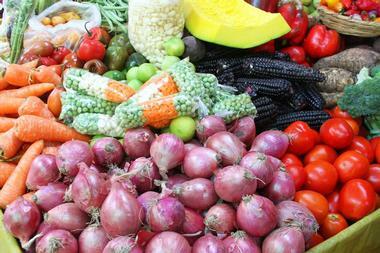 The Brattleboro Area Farmers' Market is held every Wednesday and Saturday between 9 am – 2 pm. Saturday's market is located just west of town by the Creamery Bridge and Wednesday's is held on the Whetstone Pathway off Main Street. 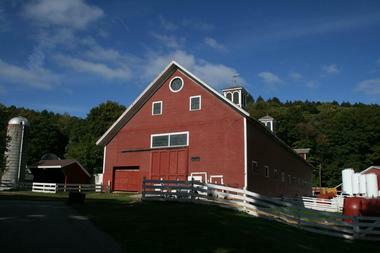 The Retreat Farm is a historic farm and nonprofit center that focuses on conservation, education, recreation, and sustainable enterprise for the community. The Farm is an authentic reflection of the rural way of life in Vermont, and offers hands-on farming experiences for the whole family, including petting goats, playing with chicks, feeding sheep and playing in the corn. The petting farm allows children to interact with a variety of animals and learn more about life on a farm while a gift shop offers an array of souvenirs to take away. The Retreat Farm is also home to one of the five trailheads that make up the nine-mile Retreat Trails recreation network, which is open year-round for hikers, bikers, horseback riders and skiers. 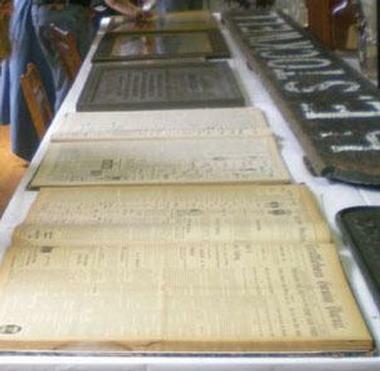 The Tasha Tudor Museum honors the life of the famous American illustrator and writer of children’s books. Born in 1915, Tasha Tudor illustrated over one hundred books, including Corgiville Christmas, bringing delight and inspiration to millions of people all over the world. The Museum brings Tasha’s important legacy to life by showcasing her illustrations, personality, and lifestyle for people to see, experience and enjoy and preserving it for future generations to come. New exhibits are created each year, documenting her life and work, including original paintings, drawing, photographs, dresses and more, and her signature tea is served for visitors to enjoy. 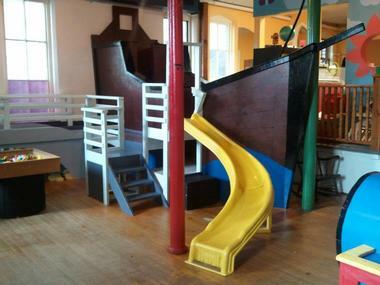 Several child-friendly activities are available, such as a dress-up area, a doll house, coloring tables, and a library of Tasha’s books while a small Museum store offers a range of memorabilia and gifts. 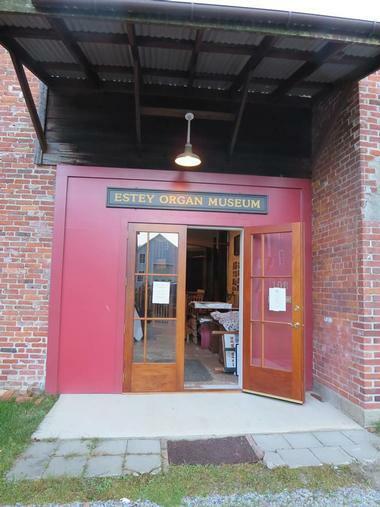 The Estey Organ Museum was established in 2002 to celebrate the heritage of Estey Organ Company of Brattleboro. Named after Jacob Estey, who founded the largest Estey reed, pipe, and electronic organ manufacturing establishment of its kind, the Museum is dedicated to preserving and sharing historical information about the company, its products, and practices through excellent collections and exhibits of Estey and other organs. Celebrating the craft business of the Estey Organ Company’s organ production, which was a familiar name from the late 1800s through the 1950s, the museum encourages visitors to explore and learn about music, craft industries, social history and more through the permanent collection of artifacts, housed in the old Engine House of Estey Organ Company. The museum also sponsors special events, traveling exhibits and a variety of activities, including organ restoration workshops, musical concerts, and historical re-enactments. KidsPLAYce is a family-friendly and fun-filled indoor play-space for children from ages 0-8, that offers an interactive and immersive environment in which children can learn through play. Imaginative and creative displays and exhibits are designed to engage, inspire, and encourage exploration and discovery, such as a musical marimba bench, a pirate ship, zoom tubes and a life-size castle. 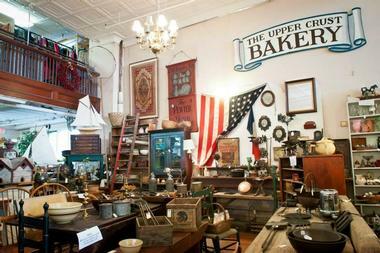 If you are wondering what to do in Brattleboro with kids, this is a great place to visit. A dedicated space is also available for infants and toddlers, which features a unique puppet stage, colorful murals by local artists and soft play areas. A casual and comfortable lunch time area offers a safe and inviting space in which to enjoy healthy snacks and drinks. A variety of programs and events throughout the year can be enjoyed by all, including ‘Visit with Santa’ and ‘Fine Dining Raffle’. Twice Upon a Time is a family-owned and operated business that sells a broad range of vintage and collectible items from the 18th Century to the present. The shop is based in a beautifully restored historic turn-of-the-century department store, and covers 10,000 square feet of space with the original mezzanine level. The store offers a wide selection of collectibles, furniture, home décor, glass, china, and vintage clothing sourced from over 100 dealers and 4,000 consignors. 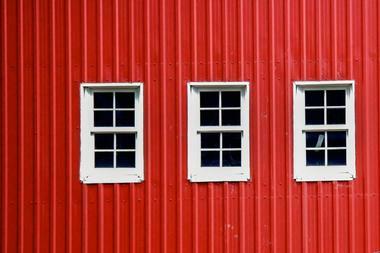 Twice Upon a Time offers consignments and rental spaces, as well as local deliveries and pickups. Top of the Hill Grill is a family-friendly restaurant that serves authentic pit barbecue food, including hickory smoked pulled pork, beef brisket and ribs, grilled chicken and smoked turkey, and freshly ground, pure beef burgers. Delicious prime cut meats are accompanied by a range of freshly made salads and sides such as baked beans, coleslaw, roasted potatoes, root vegetables, and cornbread. 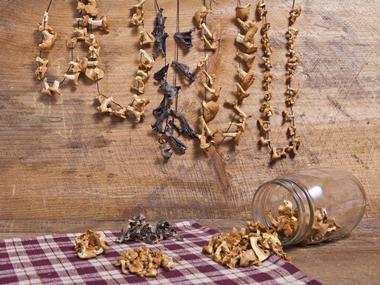 Vegetarians are also catered for, with a variety of pasta and non-meat dishes available. For an added bite, try the Mexican and Cajun specialties of fajitas, quesadillas, gumbo, chili and jambalaya. An exclusive Kid’s Menu offers favorites such as hot dogs, burgers, chicken fingers, mac and cheese and sloppy joes. A beautiful wooden deck with picnic tables offers spectacular outdoor dining in the summer, while an indoor heated deckhouse provides warmth and coziness in the winter without losing the magnificent views. Whetstone Station Restaurant and Brewery is a waterfront restaurant that serves creative cuisine food, local craft beers, and refreshing signature drinks in a picturesque riverside setting. 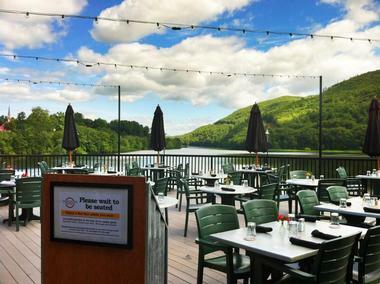 Just a short stroll from downtown Brattleboro, Whetstone Station boasts year-round indoor and outdoor dining against a backdrop of breathtaking views. The menu offers traditional pub grub-style fare from starters of grilled sirloin tips, crab cakes, and pub pretzels, to mains of spiced cider ribs, basil encrusted salmon, pub meatloaf and classic fish and chips. Lighters meals such as burgers and sandwiches are available from the ‘Brew Bar’ menu while a range of handcrafted beers from the brewery can be enjoyed with every meal. The intimate brewery can be explored with guided tours and tastings on the first Sunday of each month at noon, or by appointment. The Brattleboro History Center is dedicated to showcasing items and artifacts collected by the Brattleboro Historical Society, that focus on the history and heritage of the Brattleboro area. Located on the first floor of the Masonic building on Main Street, the History Center features a range of exhibits that explore the agricultural history and farm life of the former Valley Fair, including model railroads and bridges, vintage toys, important business signs and newspapers, a miniature replica of Fort Drummer and various paintings. The Brattleboro History Center is open to the public on Thursdays, Fridays, and Saturdays, as well as for each Gallery Walk from 5-8 p.m.
Hermit Thrush Brewery is a local brewery that creates Belgian-inspired and barrel-soured ales and fruit beers. 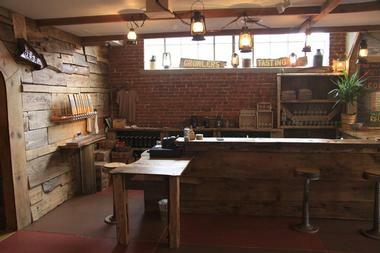 Founded by Christophe Gangné and Avery Schwenk in 2014, the brewery has quickly gained a reputation for noteworthy sour and wild ale recipes, which are made using sustainable processes and renewable energy. The beautiful little brewery exudes old-world style with exposed brick, elegant archways and a quaint tasting room made out of reused wood where visitors can enjoy tasting flights of a variety of beers, including Brattlebeer, Silly Friar, Dizzy Vicar, Party Guy and Brooks Brown. In addition to fantastic tours and tastings, Hermit Thrush also showcases works of art by local artists. This stop is for visitors over 21. Dosa Kitchen is a food truck owned by cookbook author, Leda Scheintaub which serves a creative menu of South Indian cuisine. 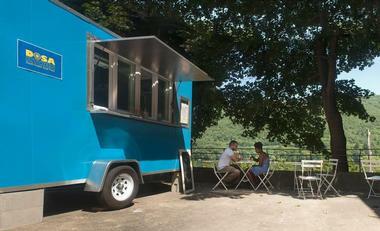 Located at the Grafton Cheese Village in the heart of Brattleboro, Dosa Kitchen boasts a farm-to-table ethos that forms the background of this delicious ethnic cuisine, in particular, the dosa- a crispy, tangy fermented rice and lentil crepe, that is created and served from the truck’s tiny kitchen. Made-from-scratch dosas range from the traditional masala dosa and the non-traditional kimchi bacon dosa pancake to the signature dosa dog – a large pork and beef hot dog wrapped in a thick dosa and stacked with tangy homemade mustard, masala sauerkraut, and Grafton cheddar cheese. Dosa Kitchen is available for private parties and events, and caters for all types of dietary requirements from gluten- and diary-free to vegetarian. Located in a beautifully restored Worcester Dining Car from 1925, T.J. Buckley’s is a family-friendly restaurant, which serves seasonal organic cuisine created with ingredients sourced from local farmers and producers. Headed up by Chef-Owner Michael Fuller, T.J. Buckley’s menu offers a range of ever-evolving New American cuisine with a European touch taken from Chef Fuller’s classic French training across a variety of foods, including meat, fish, poultry, vegetables and gluten-free foods. Delicious, freshly prepared salads precede every signature meal, which include Rabbit Loin wrapped in Serrano ham and Maine heirloom beans, winter vegetables, and poached Bosc pear and Crispy Pork Belly with Diver Scallops served with gritty polenta cake, steamed winter greens, and black trumpet mushrooms in carrot oil and aged balsamic syrup. The restaurant’s open kitchen and vintage décor evoke a quintessential Vermont dining experience with soft lighting and a casual, laid-back ambiance. T.J. Buckley’s is open for dinner Thursday through Sunday year-round, and seasonally on Wednesdays. 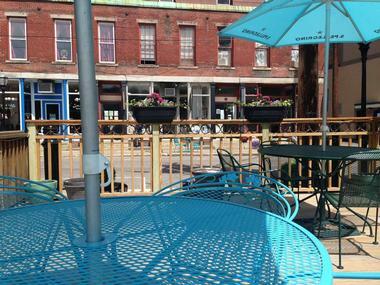 Peter Havens has been one of Brattleboro’s most popular dining establishments for over 20 years. Started by Thomas Dahlin and Gregg Van Iderstine, the restaurant presents a warm and welcoming atmosphere, an inspiring menu of excellent cuisine and wine, and outstanding service. The modest eatery only holds ten tables where diners can enjoy romantic dinners in a casual, cozy ambiance and has a bar where signature cocktails can be enjoyed before or after dinner. The menu presents an array of comfort food, including starters of Sesame Crusted Ahi Tuna, Wild Maine Mussels steamed in white wine, and brandy and vermouth marinated escargots sautéed with garlic, entrées of pan-roasted duck breast with French greens, salmon steak with ginger soy vinaigrette, and grilled lamb chops in a rosemary marinade. End with something sweet from the dessert menu, such as chocolate mousse, warm apple tart or Nantucket oatmeal spice cake and sip fine wines from around the world from the impressive wine list. 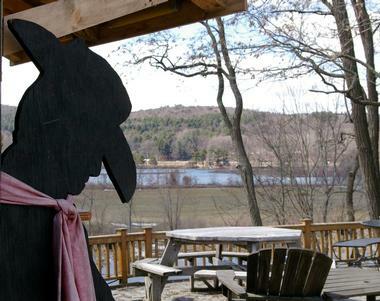 Located at the base of Mount Wantastiquet on the banks of the Connecticut River, the cafe serves 100% vegetarian/vegan cuisine and is the only restaurant in southern Vermont to do so. Boasting a commitment to a delicious, healthy and affordable menu, this family-friendly eatery presents a menu of homemade soups and freshly prepared salads, delicious sandwiches, wraps, burritos and quesadillas, pizzas and other healthy hearty entrées, and raw desserts. Add a beverage from the variety of freshly squeezed fruit and vegetable juices, smoothies, coffee and tea and enjoy your meal in the comfy, casual restaurant against a backdrop of live music and local artworks. In addition to using locally sourced ingredients and supporting regional farmers and producers, the Superfresh! Kitchen is also committed to supporting sustainable models of production, distribution, waste and recycling and has a small retail space which sells artisanal shelf-stable food products and herbal apothecary goods.